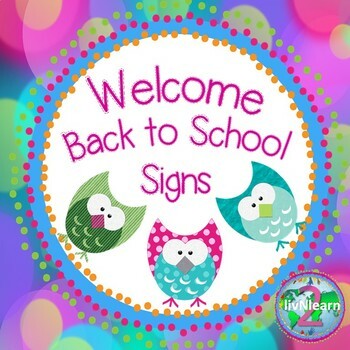 Editable Welcome Back Signs FREEBIE! Enjoy these Welcome Back Signs for your classroom door! Editable so you can add your name and room number. 10 different designs to choose from. A FREEBIE brought to you by 2livNlearn!